Hiya bloggers! Did you miss me!?! :D lol I've been very absent since end of July! Life threw me such a curve ball and I thought I was ready for it but alas... I was not. Threw my life all into a tailspin and I'm just now starting to recover and I'm hoping I did not bite off more than I can chew! Well, enough of that! 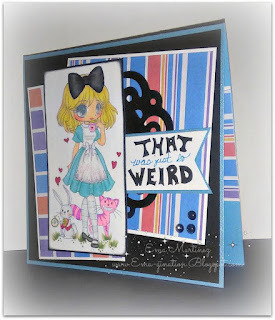 I'm here to invite you to Challenge #305 at My Time to Craft. Can you take a guess at the theme? Yup! 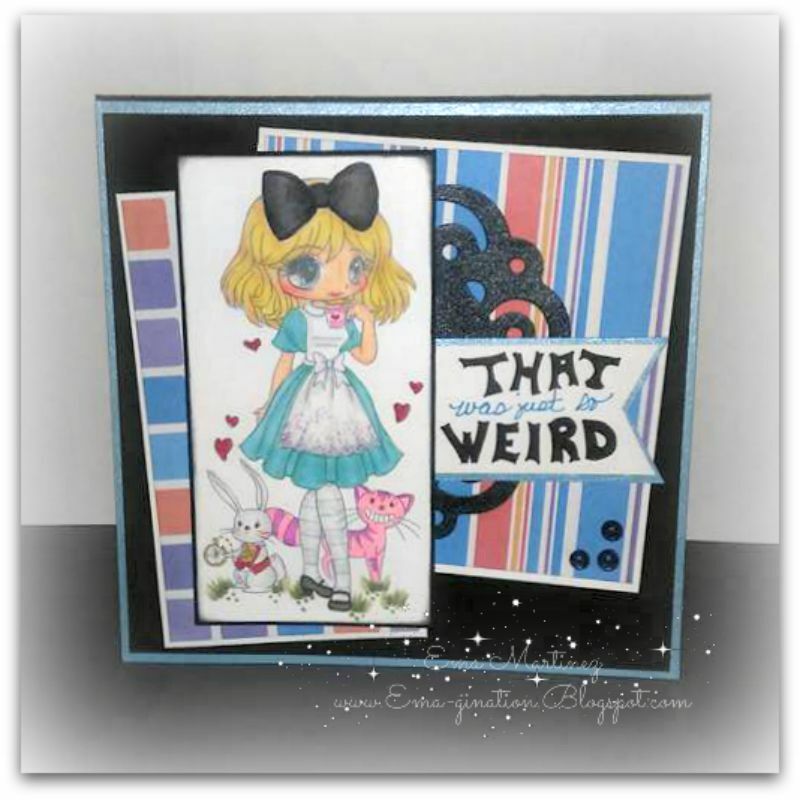 Alice inspired! I remember the first time I read the book I came away thinking... that was such a weird story! lol Then... I saw the movie with Johnny Depp and I came away thinking... now THAT was a WEIRD movie! lol So here I am! 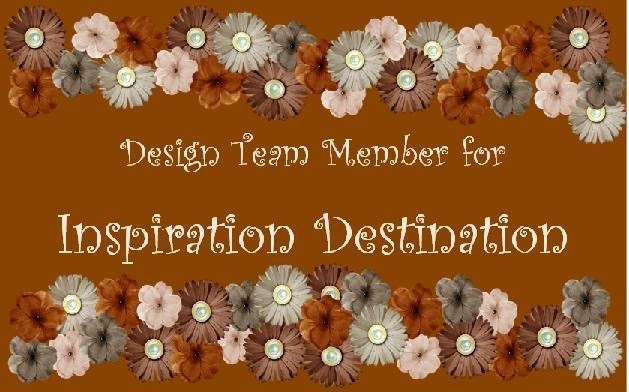 I hope you find time to pop on over to MTTC and check out the makes my fellow teammies have come up with to inspire you to join in on the fun with us! Cute card, thanks for sharing with Simply Papercraft! So Beautiful! Thanks for joining us over here at Scrapbook Stamp Society. 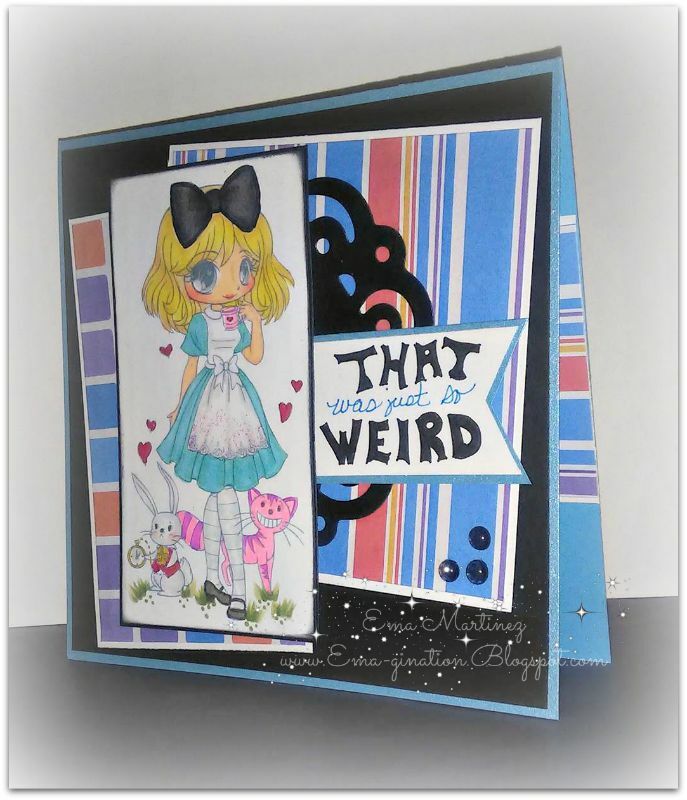 Fabulous card, sweet image, great colours and a lovely design. Thanks for joining us at Creative Moments. What a sweet image and such a wonderful card to go with it.Just love the pretty sparkly touches.Thanks for joining us at Craft Your Passion.Hope to see you again next week. 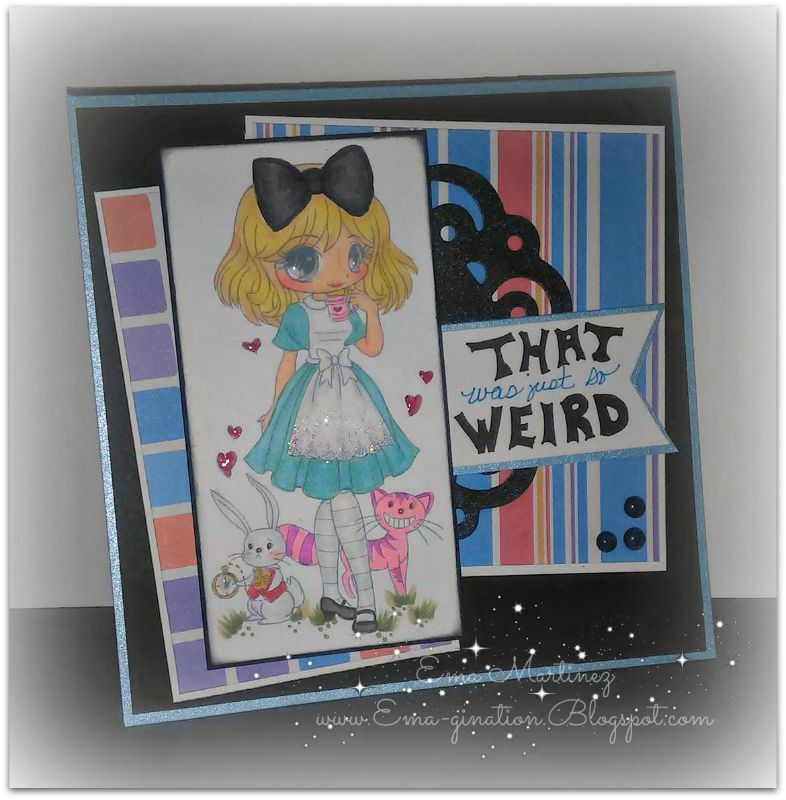 Great card, love the design, Ema! Great card! Thanks for playing along with us at Love To Scrap! Challenge Blog! Hope to see you again soon!! HUGS! Thanks for joining us at Love to Scrap! Best of luck with your entry!